Ask fellow campers about "Base Camp Family Campground" and nearby attractions. Went for a few nights in March for spring break, owners were very friendly. Bathrooms were very clean. The one thing that knocked it down a bit was that there were dogs roaming freely around the campground and a LOT of people didn't bother to clean up after them. Other than that nice place to camp for a couple of days. We camped at Base Camp Family Campground in a Travel Trailer. These are some of the largest sites I have seen, 100ft & wide. Utilities are new and placed well. They have great WiFi it actually works! It's a new park still being worked on, with gravel roads. It is close to town and a multitude of things to see and do. It is quite too, no trains that seem to come with RV parks and no noticeable road noise. They also give discounts for military, students, first responders. I will be back as I have a son that lives in the area. We camped at Base Camp Family Campground in a Fifth Wheel. The owner is friendly and can give you a list of things to see that would take you weeks. We have been to the Dunes, Zapata Falls, & the Gator Farm where our son vol enters. Walmart's at the far end of town along with the Big R & Tractor supply. We had occasion to go to the Veterinary Hospital for food (my dogs on prescription) it is large & clean. Dry Camped in Over flow Lot - CG Has 100' Long Pull Throughs & Plenty Wide. Owner Lives on Site & is Friendly & Helpful - Fairly New CG. The overflow lot was off to the side of the entrance and fairly level. Some highway noise where I was but probably less in the other sites. Had 2 bars AT&T data & cell was good. My only criticism would be that there was no trash receptacle in the overflow lot which is someN distance from those at each of the full hook up sites. We camped at Base Camp Family Campground in a Motorhome. 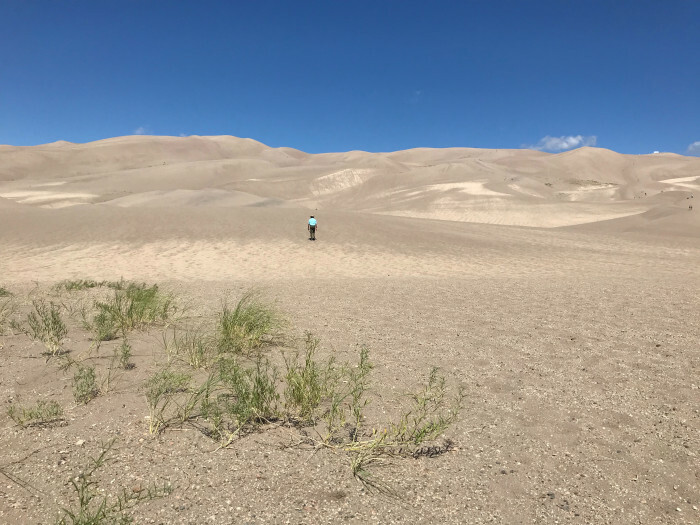 This is a new park that has just been carved out of the sandy floor of the San Luis Valley. Landscaping is a work in process. 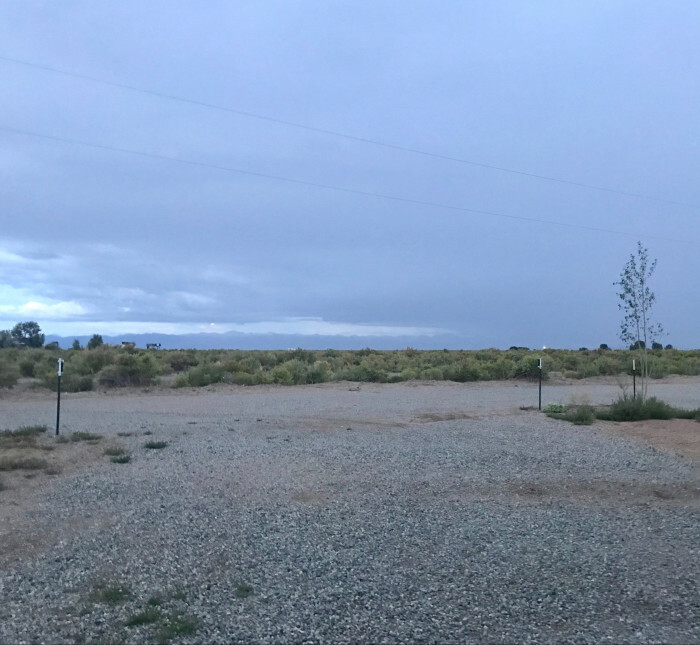 Pros: spacious pull-thru sites, new, well designed private shower/ restroom spaces, very friendly and motivated staff, good location to Alamosa and Great Sand Dunes National Monument. Cons: weeds and sand everywhere due to the recently disturbed soil, no shade and plenty of wind. Also, the park is open to Base Camp Road, which left us feeling a little less secure than usual. We were careful to keep our stuff locked up. 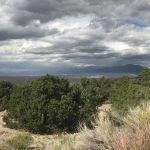 My initial impression was that this was a bleak place, but the setting does grow on you- there is a truly panoramic view of the immense San Luis Valley, the Sangre de Cristo Mountains and the San Juan Mountains. We watched monsoon storms build up from every corner of the horizon. Important note: the campsite is listed as 7001 Base Camp Road but Apple Maps and our car navigation could not find it. All Stays directed us thru GPS coordinates to 16845 E Hwy 160, which works. 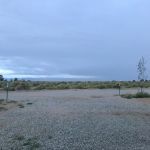 We camped at Base Camp Family Campground in a Travel Trailer. Great Sand Dunes a must. Zapata Falls is a nice hike - NB last 4 miles of the road to the trailhead are very rough. This is a new RV park. It is refreshing to have an RV park that is designed correctly. All sites are very long pull throughs and can accommodate the biggest of big rigs. They are pretty close to level and well graveled. There are currently 4 over sized individual bathrooms. 3 of the 4 are newly tiled and very nice. The 4th is concrete, but waiting to be tiled. The restroom building is 80% to 90% complete, but quite usable. Every site has a picnic table and fire ring. Compared to most RV parks, this place is spacious with your neighbor being 40 feet away. The owner is watering newly planted trees every day. Our sewer connection was 4 inches above ground; not a problem. Being newly carved out of the desert this place still has a few rough edges, but in the few years it should be pretty nice. The owner is very courteous and customer oriented. When we asked to stay an extra day due to forest fires, highway closures, down cell phone connections, and us having to reschedule our travel plans the owner said we could stay longer and if need be, stay in an overflow area for free and still use the restrooms. We camped at Base Camp Family Campground in a Fifth Wheel. This park is new and appears to be built by someone who does not RV. The sewer connections are raised and we all know black water does not run uphill. In addition, there is a beautiful view of the mountains but the sites face away from the mountains and you look at an eyesore. There are only 4 sites currently that are gravel. The rest are sand. I am still pulling sand out of the carpets. I think they should reduce the rate if you can't get a gravel spot. The staff is excellent and helpful. They will have it all graveled eventually but I had to give it a lower rating because we were on a sandy site for 5 nights. We camped at Base Camp Family Campground in a Motorhome. 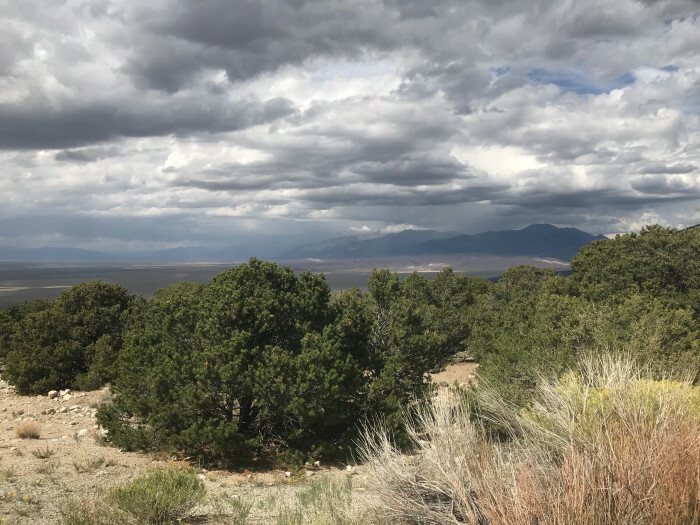 The Rio Grande Scenic Railroad is a wonderful trip but not recommended for children. 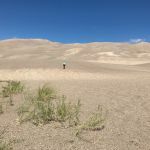 The Great Sand Dunes National Park is nearby. Are you affiliated with Base Camp Family Campground ?